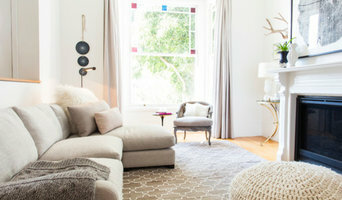 Founded in 2002 by Owner and Principal Designer, Holly Hollenbeck, HSH Interiors is a full-service boutique Interior Design firm located in San Francisco. 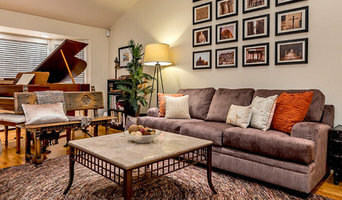 We serve all of the Bay Area and beyond with interior design services ranging from ground up construction and major remodeling to color consultations, space planning, art selection and accessorizing. Holly and her team infuse each individual space with the personal aesthetic of the client; drawing from the belief that one's home is truly an extension of self and should reflect the owner's own unique, individual style. Holly's vast knowledge of resources, materials, textures and textiles, colors and customization, provide the ideal formula for transforming a house into a dream home. 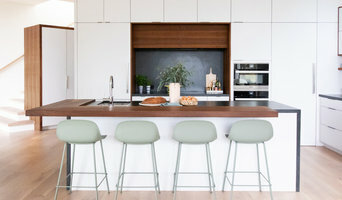 Palo Alto-based Sarah & Friends Interiors is a design company that can plan, manage and design all aspects of your interior design, or remodeling project. With roots in Sweden, we know Scandinavian design like no one else. Our interiors are typically clean, functional and open looking, but we are comfortable working in a variety of styles, guided by our client's individual needs and tastes. K Interiors is a full-service interior design firm specializing in residential and intimate commercial design. Based in San Francisco, our approach is local in execution, yet global in scope. We create beautiful, balanced interiors that express our clients’ values and purpose. Combining their vision with our expertise, refined through years in the design world and elevated by our travels around the globe, the result is unique, tailor-made spaces that reach beyond the merely beautiful and cozy. Texture and color, new pieces and vintage finds, natural materials and sleek surfaces, patterns and florals, culminate in environments that feel effortless, timeless and a source of pride. We guide the design plan from the early stages of assessing our clients’ needs, the intricacies of working with architects and contractors, and through the complexities of buying, ordering and installation. We pay meticulous attention to every detail along the way. We pride ourselves on our ability to solve our clients’ design challenges while positively elevating their experience of both the process and the final result. Our process is as follows: · Assessment of client needs, lifestyle, visual language and budget · Conceptual design · Design development including CAD drafting and sourcing · Management of custom details and bespoke pieces · Purchasing · Project Management including collaboration with architects and builders · Installation, styling and art sourcing We would love to work with you. Let K Interiors guide you in your journey to a beautiful space. 3rd generation interior designer specializing in kitchens and baths. We are a residential interior design firm. We specialize in problem solving and making spaces look and feel wonderful. We have a classic, clean, and authentic approach to design and are 100% committed to aiding in our client's success! Interior Solutions is a full-service interior design firm specializing in traditional and contemporary design. We offer interior design, landscaping, professional organization and color consultations for both residential and commercial projects. We are located in Burlingame, California and provide our design expertise throughout the Bay Area to start-ups, restaurants, homes and in between. Ashley Canty opened her full-service interior design firm, Interior Solutions, in 1998. She takes a sincere and personable approach with each client to help each client achieve the best of their desired style. House of Ruby Interior Design provides comprehensive interior architecture, interior design and decoration services. 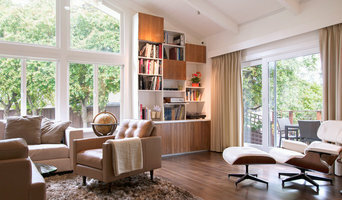 We love working with clients to develop personal environments that are beautiful, functional and, above all else, unique. House of Ruby Interior Design’s philosophy is one of relaxed sophistication. With an extensive knowledge of materials, craftsmanship and color, we create warm, layered interiors which have become the hallmark of our firm. With each project, House of Ruby Interior Design develops a close relationship with the client and strives to celebrate their individuality, interests, and daily essentials for living and entertaining. We are dedicated to creating environments that are distinctive and highly livable. Like her native California, Erin King’s designs lend themselves to a textured, layered, and comfortable vibe. Erin prides herself on attention to detail and creating a trust with each client by honest communication and collaboration. 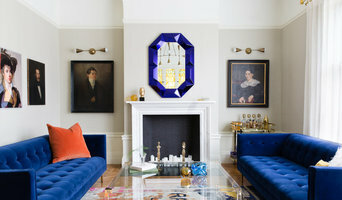 She believes that a balance of classic and modern pieces create an environment that is timeless and exciting. Erin King Interiors specializes in high-end residential and commercial design. Collaborating with architects, contractors, and craftspeople, EKID is well versed in the management of every aspect of a project from original concept to final installation. Erin studied at California College of the Arts where she received her Bachelor’s Degree in Interior Architecture. Prior to founding her firm, Erin worked in Los Angeles, San Diego and finally settled in San Francisco where she worked for commercial firm HO+K and high-end residential firm Rebecca Bradley Interior Design. After many amazing years of collaborating, working as part of a team and designing Erin established her business in 2012.